Paul Schrader’s characters fight their primary battles with themselves: Think DeNiro in Taxi Driver or Raging Bull as written by Schrader. They are plagued by guilt. They seek redemption. They’re at the mercy of forces that they can’t overcome—or sometimes perceive. 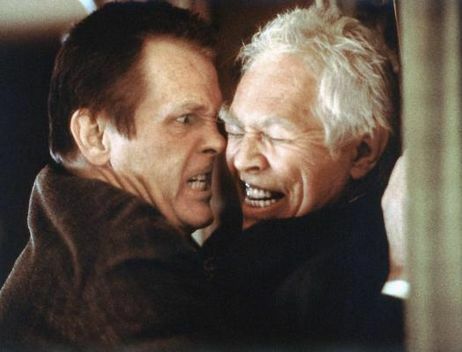 The films can be rough sailing, especially Schrader’s Affliction, which features a (never better) Nick Nolte muddling through life in such a manner that you’re either empathetic or exasperated. Nolte’s Wade Whitehouse Is a small-town cop and toady who seemingly has never gotten a break in his life, his fate apparently sealed because of the abuse he suffered at the hands of his father (James Coburn). When I think of Schrader’s films, I think about men eternally at war with modern life, even those who seem to effortlessly sail through it, such as Schrader’s lead characters in American Gigolo and Light Sleeper, urbane sophisticates who believe they’re the players until the world flips over and crashes down. As far as I can tell, Light Sleeper was Schrader’s attempt to fashion an American Pickpocket (as was, perhaps, the underrated Gigolo.) Bresson is one of his heroes and his Pickpocket is a story of a decent-minded criminal who simply seeks a way out. The titular character cruises through the city almost in perpetual shadow, continually unnoticed, so he can ply his trade. 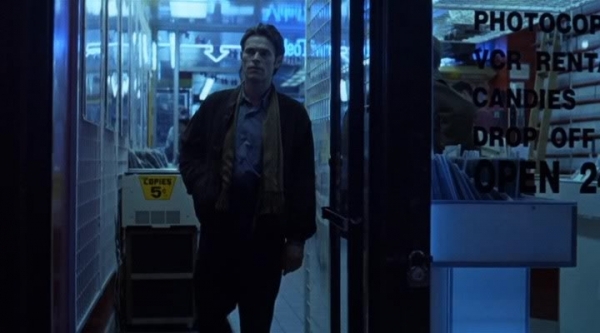 And Willem Defoe in Light Sleeper is much the same way. A delivery boy for an unlikely drug kingpin played by Susan Sarandon, Dafoe seems to almost flit from one Manhattan apartment to another, listening to his client’s drug-fueled rants. Beyond that, he barely seems to exist. He lives like a monk, in a Spartan apartment than features only a mattress and a boombox. His attempts at reconciliation with a heroin-addicted ex-wife (my beloved Dana Delany) goes nowhere. Slowly through the course of the film he realizes that he has no control at all over his situation; the only way for him to alter his own trajectory is to act, to reject the passivity with which he has lived for so long. And while tha act costs in his freedom, in Schrader’s view, it also provides him with a second chance. Nolte’s Whitehouse in Affliction is also looking to change his life, to somehow upgrade his station and win back the respect of his young daughter. But unlike Dafoe’s John LaTour, Whitehouse lacks the self-awareness to even launch the process. Instead, he becomes fixated in proving a conspiracy exists in the small New Hampshire town in which he works—when it seems clear to everyone else involved that the event in question was a simple hunting accident. Affliction is about a man who simply cannot improve upon the hand that he was dealt. 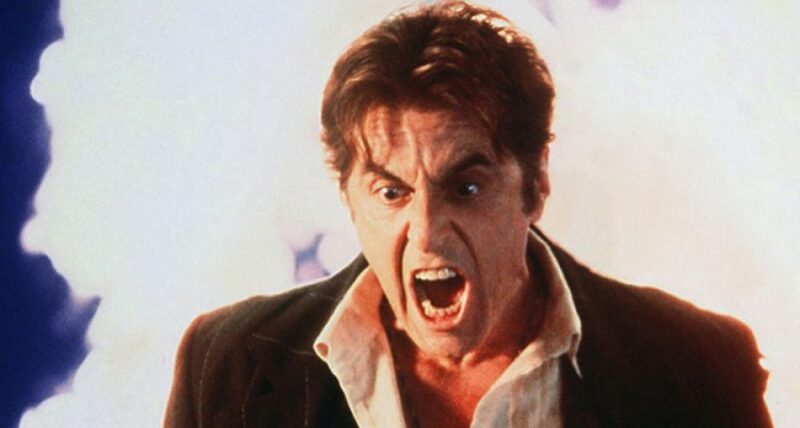 Whether he is a “good” or “bad” man almost seems beside the point; like Travis Bickle, Whitehouse is acting how he believes a well-intention, but misunderstood, man might. But the external, objective view is something else entirely. The divergence of those two viewpoints becomes the psychological engine driving the story. Schrader’s work is grim, meditative, often despairing, but almost always compelling, featuring protagonists for whom humanism Isn’t a condition as much as an aspiration. This entry was posted in 30 in 30, From the Queue by James Oliphant. Bookmark the permalink.